Tuesday marks the 186th birthday of Russian philosopher and writer Leo Tolstoy. While the Google doodle gives a poignant look at art depicting his most famous works, there's another side to Tolstoy. 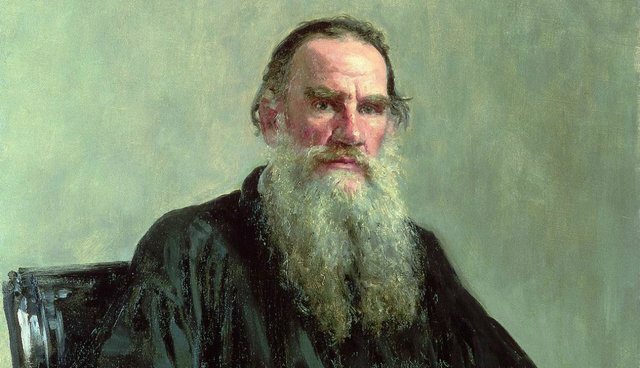 Tolstoy was a noted thinker on vegetarianism, and even made it the subject of several philosophical essays. He gives impassioned, eloquent moral arguments not to eat animals - ones that any modern eater should consider. The vegetarian movement ought to fill with gladness the souls of those who have at heart the realization of God's kingdom upon earth, not because vegetarianism itself is such an important step towards the realization of this kingdom (all real steps are equally important or unimportant), but because it serves as a criterion by which we know that the pursuit of moral perfection on the part of man is genuine and sincere. - News Review, 1892 It's worth noting that Tolstoy is far from the first great thinker to adopt vegetarianism for reasons of morality - several texts suggest that Leonardo da Vinci gave up meat, and Nikola Tesla, Mahatma Gandhi, George Bernard Shaw and Franz Kafka were all known vegetarians as well.